Today, six very worthy candidates will be inducted into Cooperstown’s hallowed halls. Tony La Russa, Joe Torre, and Bobby Cox enter as managers — and they are each among the best skippers in baseball history. 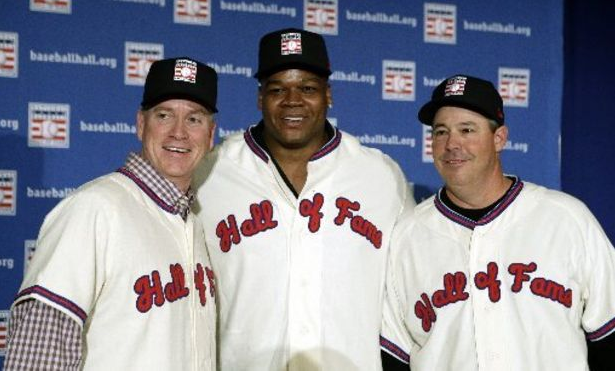 While Cooperstown’s latest trio of players were all no-doubt first-balloters, there have been some swings and misses among the 211 men who have been enshrined in Cooperstown for their play on the field. The website Hall of Stats does a good job of breaking down the discrepancy between those who were the greatest players in MLB history based on the advanced stats we have now, and those who have actually been elected to the Hall. Below are five players who have no business in Cooperstown. They aren’t necessarily the most egregious cases, but they are among the most fascinating. It took the maximum 15 ballots for Rice to get into the Hall without the help of the Veterans Committee. (Interestingly, the Hall of Fame shrunk the number of years a player can be eligible for regular induction from 15 to 10 in 2014.) If you were a baseball fan in the late seventies to the middle of the eighties you remember Rice, the 1978 AL MVP winner, as one of the most feared sluggers in baseball. However, Rice ceased to be much of a power threat by his 33rd birthday, and his counting stats — 382 home runs, 2452 hits, and 1451 RBIs — are really good, but none are Hall of Fame clinchers. Even during the eight or so years Rice was one of the top offensive players in the league, his poor defense in left — the easiest position on the field to play — weighed down his total value. He also spent about 20 percent of his career playing DH. Rice’s career WAR of 47.4 ranks him 206 all time, so his induction isn’t that bad. But for our money, he wasn’t as good as his contemporary Don Mattingly, whose career also ended early, and who has never even sniffed the Hall in the voting. Lloyd Waner accumulated 2549 hits during his career, good for 109th place all-time, but not nearly good enough for induction to Cooperstown on its own. And that’s when things get baffling. Besides that relatively unimpressive hit number, there is nothing in Waner’s profile that suggests he should even be mentioned in the same paragraph as the Hall of Fame. Waner had no power and rarely walked. Even though he had a .316 career batting average he was slightly below average for his career in .OPS. Speed? He didn’t have much. Defense? He played an above average center field, but nothing too special. His career WAR of 24.1 is lower than what Mike Trout has been able to put up in less than three years! What Waner did have going for him was his last name. His older brother Paul — “Big Poison” to his “Little Poison” — was a legit Hall of Famer. We’re thinking it was sentimentality that led the Veterans Committee voters to unite both Waner bros. in the Hall. It really couldn’t be anything else. Lloyd Waner had a good last name, and James “Catfish” Hunter had a cool nickname. 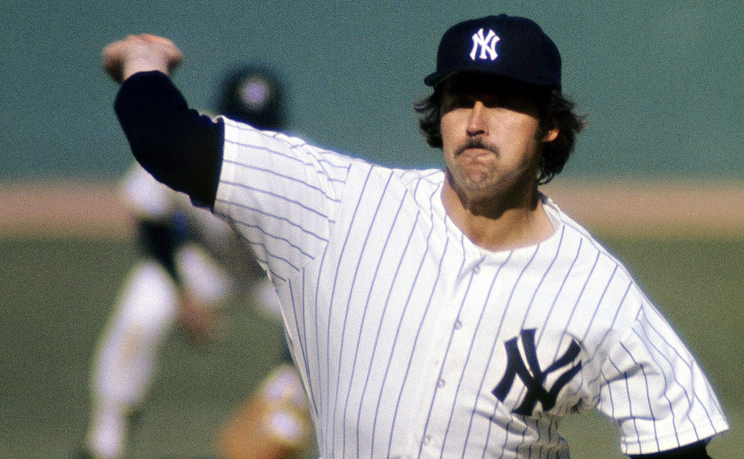 Why even Bob Dylan wrote the song “Catfish” about the right-hander. Having a snappy moniker must have helped Hunter make the Hall because his stats certainly don’t warrant it. Sure he won at least 21 games between 1971 and 1975, pitching for dominate teams in Oakland and New York. But if you take away that stretch he was actually a below average pitcher, in terms of ERA. In fact, even including that run, his career ERA+ is 104, meaning he was only four percent better than the average pitcher. Hunter supporters would point out his postseason success — five World Series rings and nine postseason wins. However, his post-season ERA of 3.26 is exactly the same of his average-for-the-era regular season ERA. Hunter was simply a really good player who had a great nickname and played on even greater teams. We don’t necessarily support Jack Morris for the Hall. But we’d take him over Hunter, who somehow got in on the third ballot. Bill Mazeroski is the only player to ever hit a walk-off home run in a World Series Game 7. It was a Hall of Fame moment if there ever was one. Mazeroski, however, has no business being in the Hall of Fame as a player. Not that he was a bad player — the second baseman was an eight-time Gold Glove winner and today’s advanced metrics rate him as an excellent fielder. However, outside of the 1960 World Series, he just wasn’t much of a hitter, with his 84 OPS+ indicating that he was 16 percent worse than average at the plate over his career. He also didn’t stick around long enough to put up any counting stats of note. It’s a travesty that Mazeroski is the Hall when far-superior second baseman Lou Whitaker got so few votes during his first-year eligible that he was removed from the ballot. Despite Whitaker’s exclusion from Cooperstown, there is one Lou in the Hall. 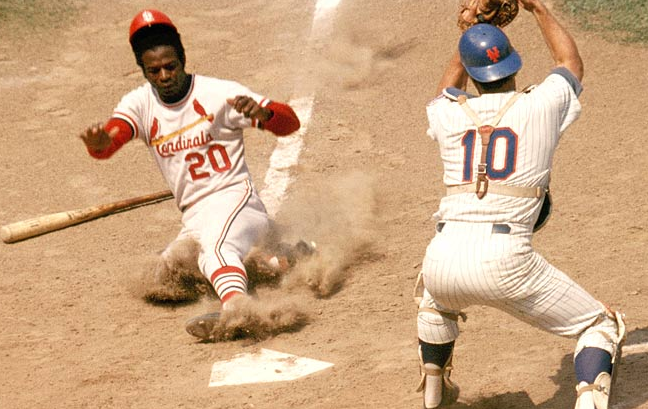 And we’re not going to be too tough on the voters for inducting Lou Brock. The speedster’s 3023 hits pass the magic 3000 mark, and he retired the all-time leader in stolen bases. He also had great postseason stats and two World Series rings. But other than that, Brock was a whole bunch of “meh.” Sure he stole a lot of bases, but he also got caught a lot. His career stolen base percentage of 75 is below the 80 percent which is now acknowledged as making a steal attempt worthwhile. He was a really bad left-fielder, despite his speed. Although he had some nice pop for a leadoff type he wasn’t a great on-base guy with a career OPS only nine percent above average. His career WAR of 45.2 is just 236 best all-time. There is no way Brock should be in the Hall (and a first balloter!) when 69.1 career WAR Tim Raines — who stole almost as many bases as Brock and did so much more efficiently — remains on the outside looking in.